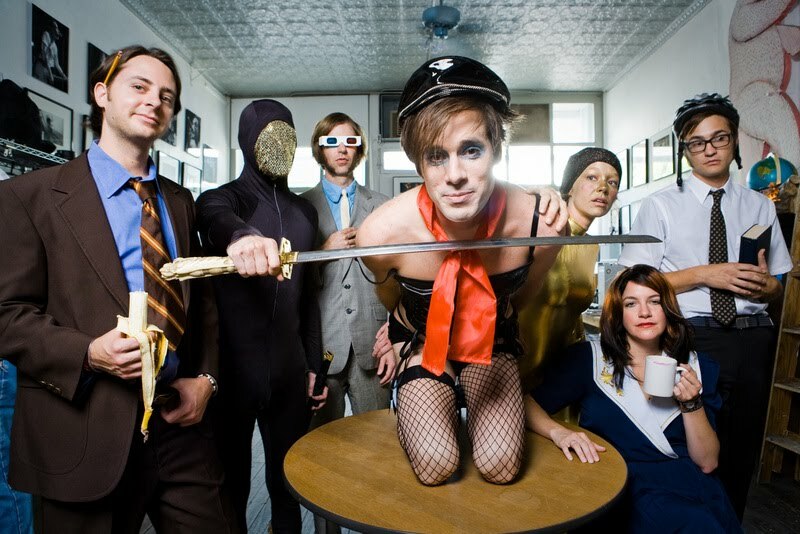 I just got through reviewing Fire Zuave for Flagpole (it was great, just fyi) when it occurred to me that I really haven’t even touched on of Montreal on AthensMusicJunkie. It wasn’t intentional. I kinda like the kooky kids with all their weird costumes and insane songs. So in a fit of guilt, I went over to their myspace to figure out what stuff I could write about. And holy cow, what did I find? A listing for a gig at the 40 Watt in February. Amazing! It’s not even New Years/Halloween. I’ve never seen the band live, they’re currently on my list (next to B-52s and Widespread) so the possibility of getting to see them makes me happy. I am a bit wary of the craziness that goes on during the shows. I’ve heard of mutilated stuffed animals and fake blood and fire and streamers and so much more. Intense. Or maybe they’ll all just sit on stools and do an acoustic show to freak everyone out. That’d be fun too. Anywho, enjoy the crazy. Not sure if I’ll have power at the time this post goes up but that’s what scheduled posts are for!